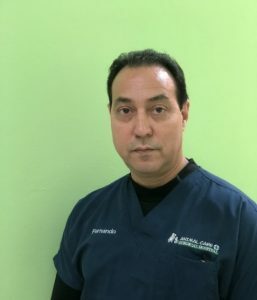 Fernando has been working as a veterinary technician for 14 years. His friendly attitude towards clients and client’s pets is a very valuable trait for our hospital. He’s the type of person to go a step beyond to help our clients in their needs. He is an animal lover and the owner of Burry the cat which you may encounter by coming to our clinic. He loves to stay healthy and work out at the gym, he also loves to drink green tea. He would love to one day travel to various countries, although, he is scared of airplanes! His expertise is of a key role within our staff. Ian wants to be a future veterinary orthopedic specialist. 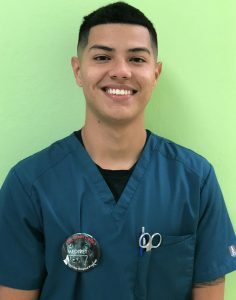 Gaining lots of experience as a veterinary technician and surgical technician he hopes to understand the field better as he prepares himself to eventually apply to veterinary school. His dream is to one day open a hospital which can offer a wide range of surgeries and treatments for animals in need. When he has free time, he loves to spend it watching veterinary shows and other series with his girlfriend and his Belgian Malinois, “Kai”. His professional outlook and curiosity for the field is key within our staff. Dary is an exceptional receptionist with great customer service experience. Having worked as a department manager for a franchise food restaurant beforehand, her skill set brings dependable results. She loves animals and has a big heart for them. Usually, she will stay a few minutes extra after her shift making sure all the animals are happy and comfortable before she leaves. She is studying to become a police officer and maybe branch out into the K9 unit. On her free time she loves to hang out at the gun range or at the gym. Her value for the customer and their loved ones is key within our staff. 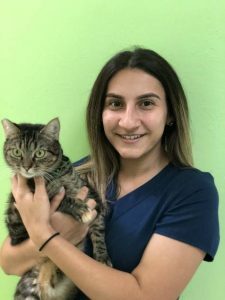 Antonella is a young technician who would liked to pursue a career in the veterinary medicine field as a Doctor. She currently attends Florida International University in search of her bachelors in the field of biological sciences. 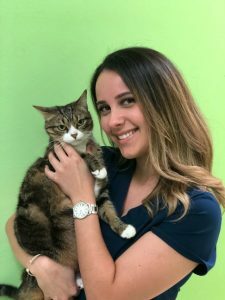 On her spare time, Antonella likes to volunteer in the SPCA horse ranch as well as the Miami Dade Shelter/ Animal services. For Antonella, healthy living is essential, such as going to the gym. Her kindness and will to learn is key within our staff. 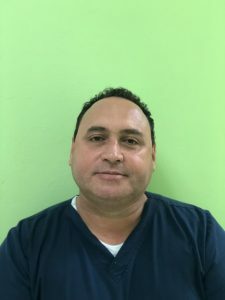 Roberto has worked for our hospital for about 2 years now as a veterinary technician. Before us he worked in Spain as a DVM. Roberto loves to teach and is willing to explain to the customers anything they might not understand. Roberto enjoys dancing, walking and studying in his free time. Roberto would like to pursue the board certification here in the United States as well. While living in Spain Roberto became a huge fanatic of soccer and still follows it today. His positive attitude is key within our staff. 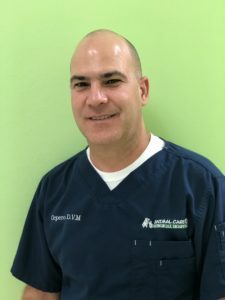 Doctor Cepero Graduated from Veterinary Medicine in Cuba in 2007. He is a great doctor with continuous knowledge who earned his board certification here in the United States. He loves internal medicine, pathology and laboratory. He loves to spend his free time with his wife and kids. He hopes to learn more day by day and further enrich his profession. His dedication and commitment is key within our staff.